Watch full Vampirina Episode 22 online full HD online. Cartoon video Vampirina Episode 22 online for free in HD. Vampirina’s parents surprise her with a vacation to their former home in Transylvania so that the Ghoul Girls can enter a talent contest, which the Scream Girls are also entered in. Her friends Poppy and Bridget are invited as well. An unscrupulous competitor, Poltergeist Pat, locks the Scream Girls in a dungeon so that they cannot sing, giving him a better chance to win. 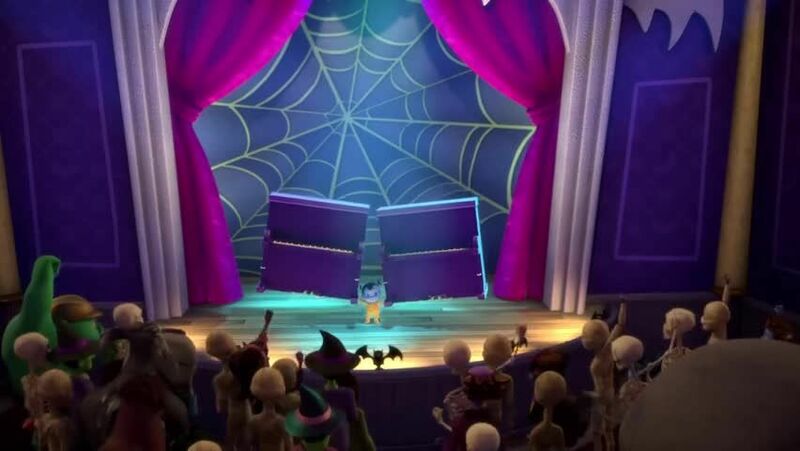 Vampirina, Gregoria and Demi save the Scream Girls, who perform in the show and invite the Ghoul Girls to perform with them, to the delight of the audience.